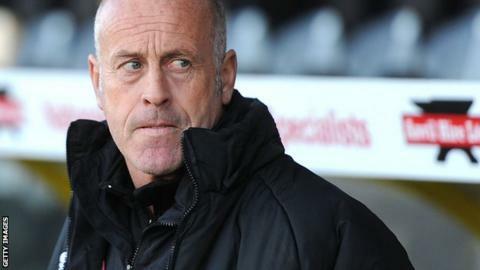 Martin Foyle is the new manager of Conference Premier side Southport. The 51-year-old replaces John Coleman, who left the Sandgrounders two days after the end of the season. Foyle, who left financially-troubled Hereford in March, also had spells in charge of Port Vale and York City. "We are all very excited by the appointment. We have said that we need to be moving the club forward and Martin can achieve this," chairman Charlie Clapham told the club website. "We have acted quickly, as we had a very high standard of applicants and we needed to make appointment quickly in order that the new manager could get a squad together. This is the start of a new era." Coleman guided Southport to 18th in the Conference Premier but parted company with the club in 29 April, stating that he wanted to return to full-time management.